The number of people over the age of 50 who abuse substances is expected to reach near 4.5 million by the year 2020, the journal Today’s Geriatric Medicine publishes. The National Council on Alcoholism and Drug Dependence (NCADD) reports that alcohol and drug abuse in the elderly population is one of the most serious and fastest-growing health concerns in the United States. How Can AARP Pay for Rehab? As a person ages, the body and mind go through many changes, and abusing drugs and alcohol in the same manner that a person may have done in their younger years can have greater negative effects. Older adults may turn to alcohol or drugs in order to cope with the loss of a spouse or job, or other major life-changing events. Moving out of the family home, isolation from family as the result of children growing up and moving away, and shrinking social circles from decreased mobility can also induce stress. Individuals may turn to mind-altering substances as a method of escaping reality. Aches, pains, and medical issues may also increase as a person ages, and illicit substances may provide temporary relief. Older adults are also often on fixed incomes, which may make it financially difficult to receive certain medications, meaning that seniors may regularly “borrow” medications from friends, family members, or others, resulting in misuse of these drugs. This can also mean that their medication use is not monitored by medical professionals, leading to possible negative outcomes. Seniors may experience different barriers to treatment for issues surrounding substance abuse than younger people do. For instance, medical and mental health providers may be more resistant to diagnose substance abuse in older adults, and office visits may be more rushed and less comprehensive. Issues and side effects ensuing from substance abuse may also mirror symptoms from other physical or psychological disorders, therefore resulting in misdiagnosis. Families, and doctors alike, may overlook alcohol and drug use in seniors and feel that it is their “right” to use these substances as they see fit due to their advancing age. Elderly substance abuse can be especially problematic, however, leading to a variety of increased risk factors and negative consequences. Substance abuse treatment facilities that have programs designed specifically for seniors can help to facilitate physical and mental health and aid in recovery. According to Psychiatric Times, alcohol is the most commonly abused substance by older adults. Individuals may abuse alcohol throughout their lives and carry problematic drinking patterns over into their later years, or they may not begin drinking until later in life. Alcohol abuse can be more damaging to the mind and body of an older person than a younger one. As a person ages, their metabolism slows down. This means that alcohol will have a greater effect in lower amounts. Thus, if a person drinks the same amount of alcohol at age 65 that they did at age 25, they will become intoxicated much faster and therefore increase the risk for alcohol poisoning and other potential negative consequences. Alcohol accounts for 88,000 deaths every year in the United States, and according to data published by the Los Angeles Times, adults aged 65 and older had the highest fatality rate from alcohol-related causes. Regular alcohol consumption can also cause dependence to form, which due to the lower metabolism of seniors, may occur more quickly at an older age. When a person is dependent on alcohol, the brain may not work to produce and transmit some of its neurotransmitters, like dopamine, serotonin, and GABA, the same way anymore. This can lead to difficulties feeling pleasure, or even “normal,” without alcohol and can cause difficult withdrawal symptoms and cravings for the substance when alcohol processes out of the body. 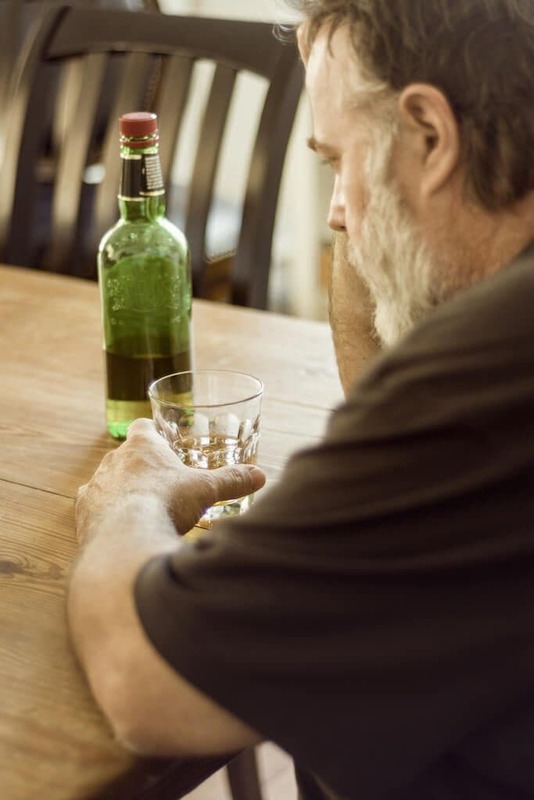 Depression, anxiety, gastrointestinal upset, and insomnia are common symptoms of alcohol withdrawal, and they may be exacerbated by co-occurring disorders, which are common in seniors. Significant alcohol dependence can even create life-threatening alcohol withdrawal symptoms in the form of delirium tremens, or DTs. Hallucinations, fever, seizures, and delirium are signs of DTs. Mixing alcohol with medications or other drugs only increases the potential side effects and risks as well. The National Institute on Drug Abuse (NIDA) reports that people aged 65 and older make up about 13 percent of the American population but represent 30 percent of outpatient spending on prescription medications. Elderly prescription drug abuse is a serious health problem with multiple negative ramifications. The New York State Office of Alcoholism and Substance Abuse Services (NYS OASAS) publishes that as a person ages, blood flow to the liver and kidneys is reduced, which results in an up to 50 percent decrease in how certain medications are metabolized. Just like with alcohol, this drop in metabolism means that these drugs have greater effect on older adults than younger ones, and misuse of these substances can therefore carry greater risks. An older person may feel “high” more quickly than a younger person and may also be at a greater risk for overdose, even at lower dosage levels. Seniors may be prescribed medications like opioids and benzodiazepines for chronic pain, anxiety, or sleep issues. An opioid overdose can cause a person to stop breathing and lead to brain damage, coma, and death. Benzodiazepines are also central nervous system depressants that lower body temperature, blood pressure, and heart rate. These medications are considered to be highly addictive and lead to dependence quickly. They are therefore not recommended to be taken on a long-term basis. Despite the risks, however, NCADD reports that over 17 million prescriptions for benzodiazepines are written for seniors every year, and many of these are for long-term use. Older adults are more likely to take multiple medications and suffer from more than one medical or mental health disorder at the same time, thus increasing the potential for negative drug interactions and adverse reactions. Aside from the high risk of drug dependence, and possibly life-threatening withdrawal side effects, long-term benzodiazepine use also increases the risk for Alzheimer’s disease, a debilitating form of dementia for which there is no cure, the British Medical Journal (BMJ) warns. The baby boomer generation (those born between 1946 and 1964) has traditionally been known for their willingness to take risks and for their experimentation with illicit substances like marijuana and other drugs. The journal Social Work Today reports that behind alcohol, marijuana is the most commonly used illicit drug by older adults. As this generation of people ages, they may be bringing substance abuse with them into older age in an attempt to relive their “glory days” or due to a denial that they are aging at all. Drug abuse in older age has greater ramifications. Despite any personal beliefs to the contrary, the reality is that drugs will take a greater toll on older bodies and minds. The Wall Street Journal (WSJ) reports that the rate of accidental drug overdose was more than 10 times higher in 2010 than in 1990 for individuals between the ages of 45 and 64 as baby boomers aged into this demographic. In 2013, WSJ published that over 12,000 baby boomers died from a drug overdose. Illicit drug abuse increases the risk for contracting sexually transmitted and infectious diseases through unsafe sexual practices and the sharing of dirty needles. Financial problems, drug arrests, and legal entanglements also commonly result from illicit drug abuse. These substances impair a person’s judgment and increase their propensity to engage in questionable and risky behaviors. Older adults may not only be at a greater risk for overdose, but they may also experience more significant health problems resulting in longer hospital stays and greater healthcare costs. Seniors may be less likely to get the help they need for substance abuse due to a variety of factors, not the least of which is misdiagnosis and poor recognition that a problem exists. Specialty programs exist to treat older adults specifically, however, and these can aid greatly in recovery. 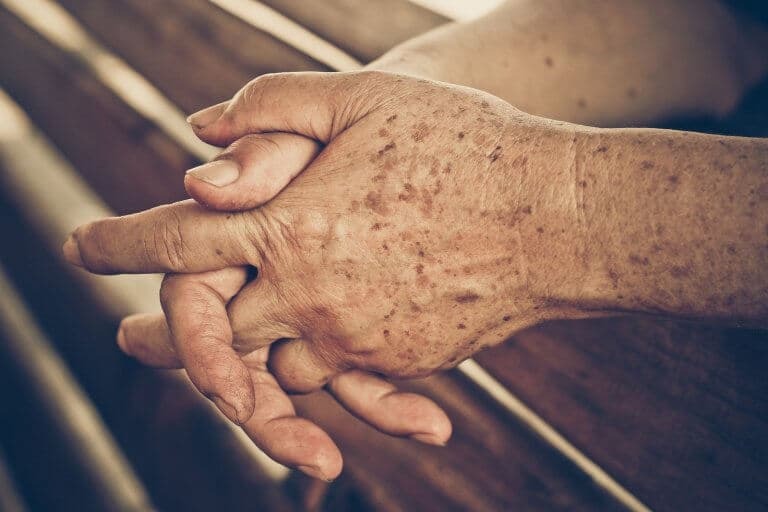 While substance abuse is problematic regardless of a person’s age, issues may be compounded in the elderly, making it important to spot warning signs. Substance abuse in seniors is best served with specialty treatment provided by highly trained professionals who are empathetic and understanding of this particular demographic.